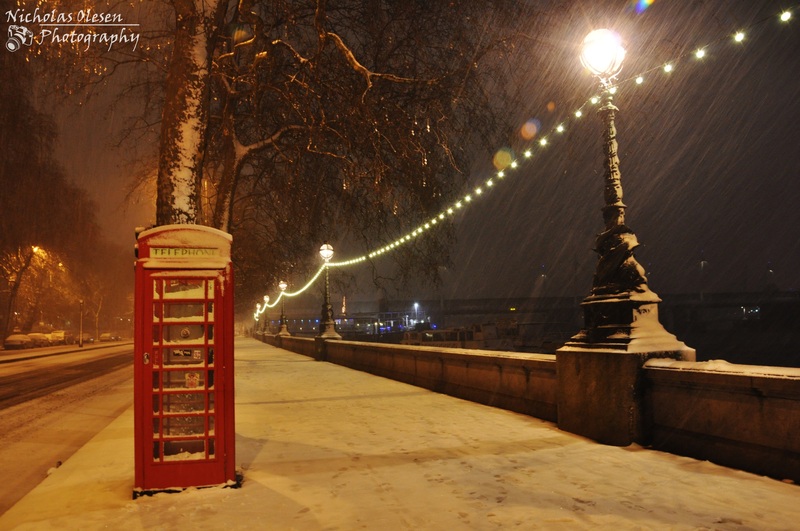 A red telephone box on the banks of the River Thames on a snowy day in London, UK. 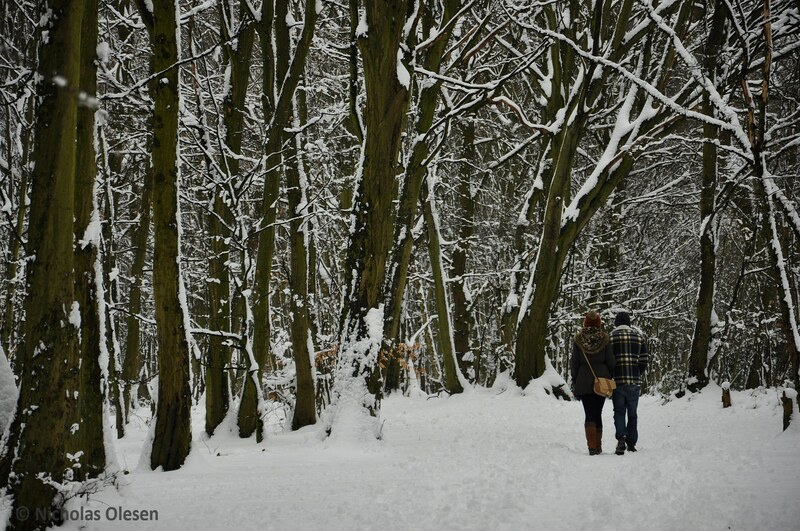 Fairland Valley Park in Stevenage, UK, on a snowy day. 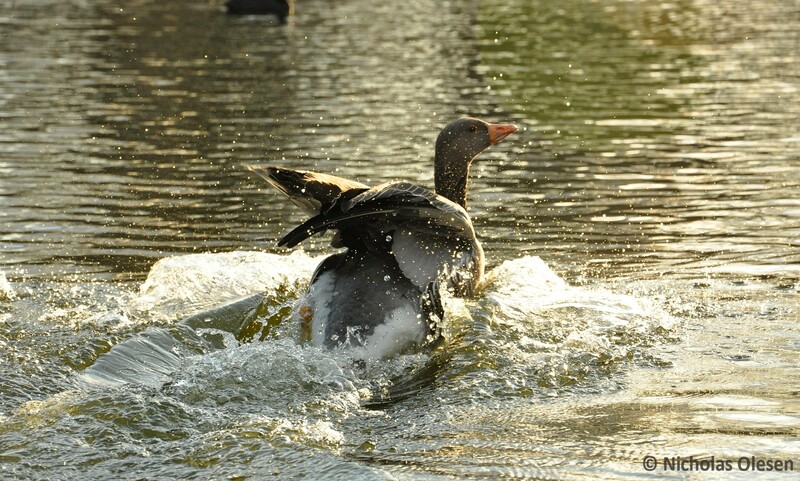 A Greater White-Fronted Goose in St. James’ Park, London.